Dar es Salaam. The CEO Roundtable Tanzania (CEOrt) wants to be a part of the process of drafting new bills in the country. Members argue that the private sector’s views are important if Tanzania’s business environment is to improve. The CEOrt – which comprises of 130 chief executive officers and chairpersons of organisations that operate significant business in Tanzania — believes that there is something lacking with regard to the advancement of the dialogue between the public and private sectors. This, it says, is more pronounced in the way some laws are drafted, endorsed and ultimately assented to, only to be amended later after the government gets convinced that the legislations will have negative impact on the private sector and the economy at large. “When laws are approved and amended after a short period, you get the impression that the relationship between those making them (the laws) and its different stakeholders – including members of the business community — is not that good,” a partner at NexLaw Advocates, Mr Ayoub Mtafya, said at the CEOrt meeting in Dar es Salaam on Tuesday. Among issues that CEOs want addressed is the 18 per cent Value Added Tax (VAT) on tourism services, which was introduced in the 2016/17 budget. Although the government has at several times said that the decision was arrived at after a careful planning, the private sector believes it has had a number of negative impacts on its operations. Since only the wearer knows where the shoe pinches, CEOs want to be involved in the different stages of drafting bills before they become laws. “We have experienced many impromptu changes of laws without our involvement. This is bad in as far as improving the business climate is concerned,” he said. He added that although at time laws may be amended so as to improve the business environment, they (the amendments) often come with some ambiguities and confusions among members of the private sector. “Law making normally requires a long time and several processes. The government – through its law making organs – must therefore thoroughly engage experts and key stakeholders in any particular sector so as to avoid some challenges that might be encountered during the implementation stage and which may result in unnecessary amendments,” he said. This comes at a time when Parliament has just approved two new laws to govern natural resources tabled under the Certificate of Urgency. Last week, Parliament also endorsed the Written Laws (Miscellaneous Amendments) Bill, 2017. The amendments involved several laws – including the Mining Act, 2010 – which was tabled under a Certificate of Urgency seven years ago. “This is one of the examples. It was tabled under a Certificate of Urgency in 2010 but had to be brought back to Parliament two weeks ago but again, under the same Certificate of Urgency,” he said. He noted that chances were that the approved amendments may still be wanting in certain areas because the time was too short for other experts and operators to air their opinions. 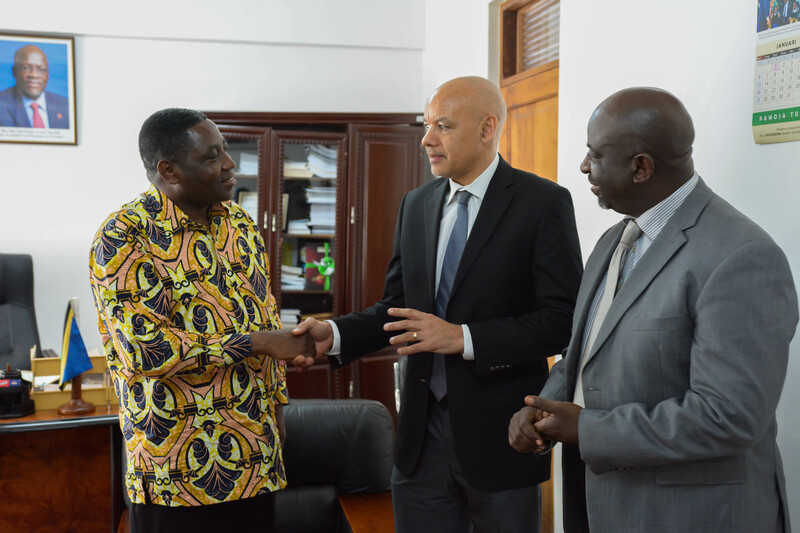 Remarking of the matter, CEOrt chairman Ali Mufuruki said consultation between the public and private sectors remained critical especially this time around when Tanzania endeavours to industrialise its economy.